We all use our phones way more than we used to. Always have them with us, in our pockets. We do many tasks we used to do on computers on our phones. We view, share, read, type. One thing I found myself typing way to often was my email address. Well, both my addresses. My home and work address. Every new login, every site, etc. Has to be a better way. Well, there is! It is called Text Expansion. Text Expansion isn’t anything new. It has been around in modern OS’s for years, and other programs, text editors and IM programs, etc. Well, with Apple iOS and Google Android (Sorry Windows Phone users! ), you can use Text Expansion to stop typing out your loooong email addresses every time you have to enter them. 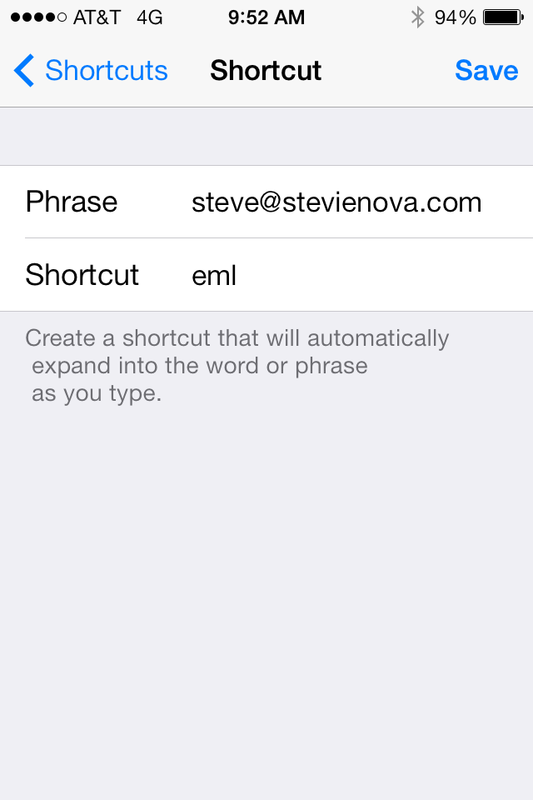 set up a new shortcut, for the phrase, put your email address, and then Shortcut put “eml”. 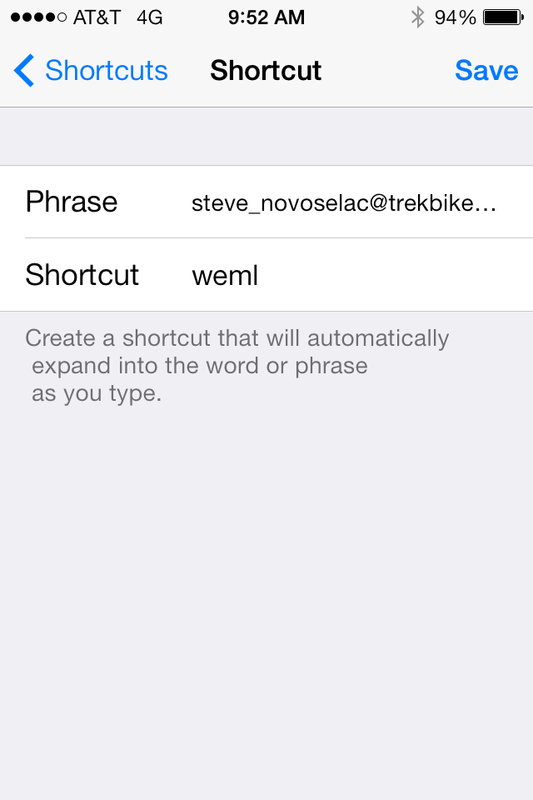 I also set up a shortcut for my work email, with the shortcut as “weml”. 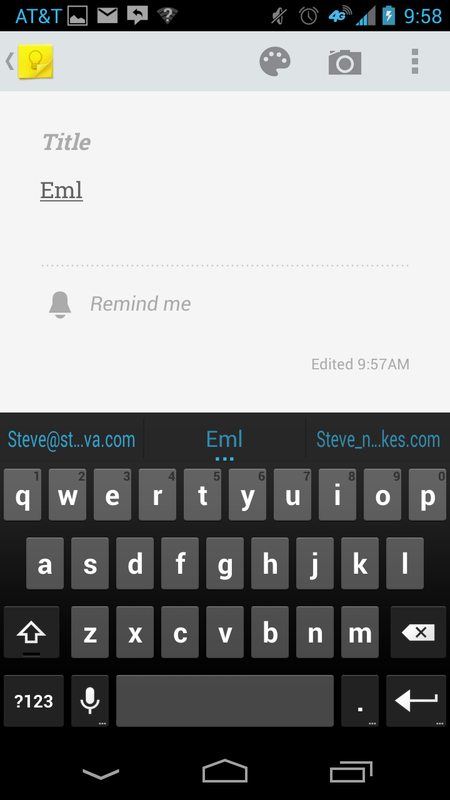 Now, when I want to type my email just have to type eml or weml and it expands into my actual email address. Now on Android, it works a little different (and in my opinion, iOS handles this better). First off, add your shortcuts. Add two entries, for your home and work, like on iOS. 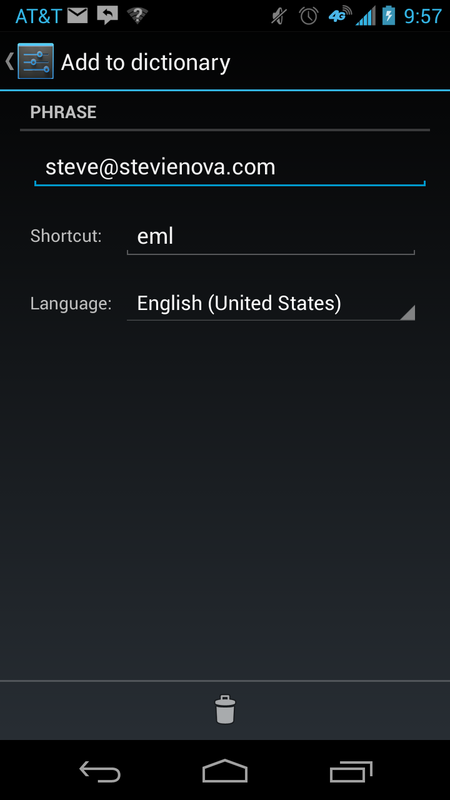 As you can see, the way that Android does it, at least to me, seems wonky. 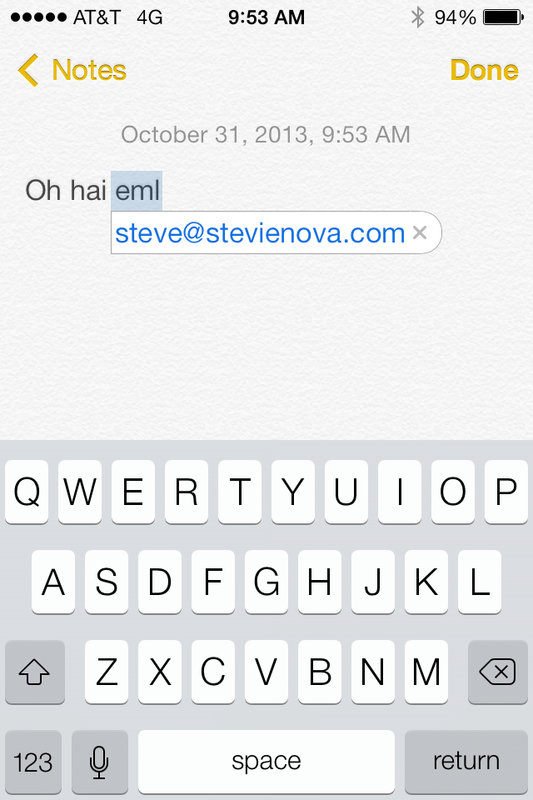 iOS brings up the expanded text inline. Also, I have noticed on Android that some apps and text entry areas don’t find the dictionary (say, for example the to: line in corporate mail). Where in iOS 99% of places handles the expansion. The places in iOS that I have seen not handle it are some apps custom text entry boxes. Another thing to realize is that with iOS, if you use iCloud sync, these text expansions get syncd for you, to your iPad and other iDevices, even your Mac. Pretty cool. I see people typing in their email address when logging in and just shake my head. Save yourself some keystrokes. They add up!